We met over nine months ago in emergency in Randwick. It was a Monday night. 14 March 2016. We walked into emergency not knowing what lay ahead. We had no idea how our lives were about to change. You were calm. You were professional. And you were kind. You sat with us and told us that you believed Ruby had leukaemia. You said you hoped you were wrong but you were sure you were right.i hoped you were wrong but I knew you were right. The bottom fell out of our world that night but your knowledge and kindness kept us focused and positive. I want to thank you for your professionalism and compassion and patience – that first night and every day throughout this journey. You and your team of doctors and amazing nurses have helped guide us through this difficult journey. 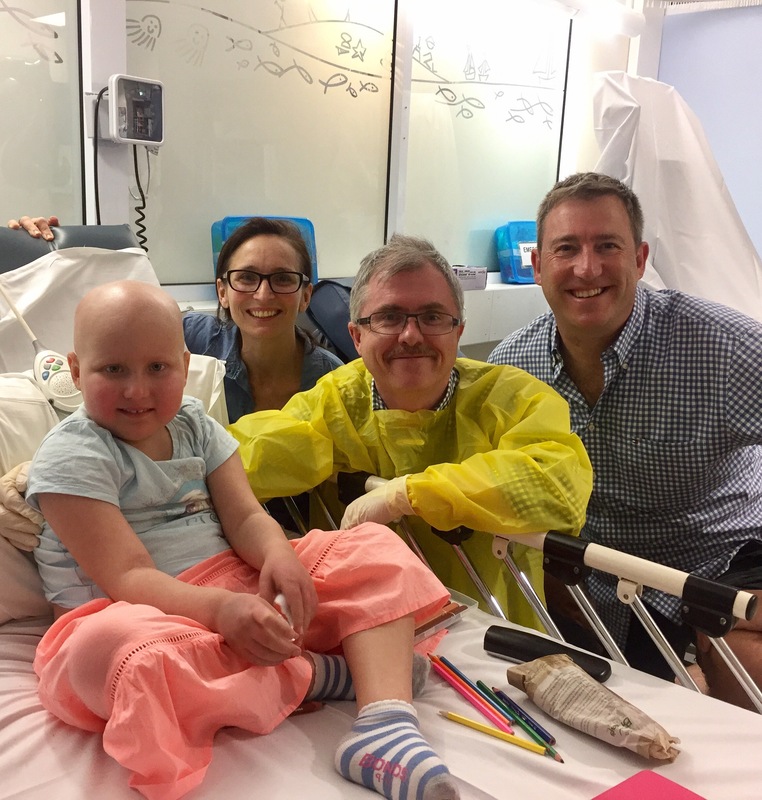 We have taken many turns along the way – some life threatening- and having you by our side to answer our questions – from serious medical questions to what you had for breakfast – has kept us reassured and positive and smiling. You have held me up. You have kept Ruby well. Your knowledge and kindness has helped me navigate these difficult waters. I am forever grateful. Many times throughout this journey I thought I would fall. Your daily visits arming me with knowledge and advice held me up. I will forever be thankful. You have chosen a career path that is not only rewarding but so very challenging. You do your job with unending grace. I want you to know I am so very grateful. You are an excellent doctor. Your career path does make a difference. You have made a difference to our lives. Thank you. And now in November, we face maintenance – a word I have longed to hear – I wanted to thank you for always being there as our bright beacon guiding us to this point. I feel excited and scared about the next stage. I feel lucky to be in your team. A thousand thank you’s Toby.